How Do You Know When Your Novel is Finished? When do you quit editing your novel and start marketing it? Is there a foolproof way to know when your story is done? I’m working on what I hope will be the last edit of my manuscript. My question is, how do you know when to stop editing? I read that at some point you stop making it better and just start making it different, but how do you know where that point is? I have learned so much since beginning the story, and am still learning, so I try to incorperate that knowledge as I edit. I want to make my story the best it can be, but at this rate the editing process could go on forever. HELP! Randy sez: This is a good question. The question is simple. The answer is complex. A lot depends on where you are in your career. This might be a good time to read (or reread) my article, “Freshman, Sophomore, Junior, Author!” where I spell out the various stages in the career of a pre-published writer. There are several stages after getting published that I don’t cover in this article, but it’s a good start. If you’re a Freshman or Sophomore, then I guarantee that your novel is not done yet. Period. This is true by definition. Being a Freshman or Sophomore means that you are not yet writing publishable work. Maybe you will one day, but not yet. However, if you’ve chewed all the sugar out of the story you’re working on, if you’re just tired of the thing, it might be a good time to lay it aside and move on to another novel. You can always come back to it later, when you’re more advanced in your career. I have a novel on my computer that I wrote when I was a Freshman/Sophomore. I suspect that it’s actually not bad, but I never sold it and I’m sure that if I read it today, the reasons would be obvious. At the time, I had a hard time letting it go and moving on to the next book. That novel was a necessary stepping-stone along the way to getting published. That doesn’t mean that it has to be published someday in order to earn its keep. It already earned its keep by proving to me that I could write and finish a pretty good novel. If you’re a Junior, then you should be looking for an agent and the main thing you need for getting an agent is a good manuscript. How do you know when to go looking for an agent with that manuscript? When you can’t improve the thing any more, go looking for an agent. While you’re working on that, start writing a new manuscript, because finding an agent could take a while. A long while. If you do find an agent, he’ll tell you whether your manuscript is ready to be published. It probably isn’t. Don’t feel bad if your agent asks you to rewrite your manuscript and sends you a detailed list of things to work on. This means he cares enough about you to make you improve. If your agent never sells your manuscript (this happens quite a lot), then it probably wasn’t ready. There is no way to make this a happy event in your life. This is always painful. Novelists have to learn to accept that not everything they write is guaranteed to sell. If this is too much for you to bear, then you should try a less risky career, such as blind-folded lion-taming. If your agent sells your manuscript, then your editor will have a go at your manuscript. Without a doubt, she’ll find a large number of problems. Then it’ll be on you to fix them. The manuscript isn’t done until your editor says it is. Once you’ve been published, you’re operating on a higher plane than you were before. By now, you’ve got the experience to know when a manuscript is done. If you’re normal. There are a few sick authors who are too darned humble and believe that nothing they do is ever good enough. There are a few other insufferably egotistical authors who think that everything they do is golden, even in the first draft. But most published authors develop an inner sense of rightness. They know that their book will generally be ready after the third draft, or the fifth, or the thirteenth, or however many drafts it usually takes. The simple fact is that most authors reach a plateau in the quality of their writing after a few novels. They may be constantly striving to improve. They may be actually making small steps forward. But we’re talking about one percent effects here. Small improvements. Once you’ve reached your natural level of fiction writing, you probably aren’t ever going to make any more quantum leaps. Just my observation of how things actually work for real writers in the real world. When you reach your natural level, you’ll know when your story is done. You won’t be able to explain it, but you’ll know. You’ll know that your novel is as good as you can make it and you’ll know who to show it to in order to take it up a notch or two. Thanks for the help, Randy. I guess we all want to start out at the Senior level and leap to the post graduate stratum; the one with editors throwing money at us if we’ll just allow them to publish our wildly wonderful works of fiction. Ouch… that was the pin bursting my bubble. Now back to the real world. I still have a lot to learn and am going to start by studying the appendices from The Fifth Man and applying what I learn to my WIP. Thank you again for sharing your knowledge. Well done, Randy. I didn’t see a mention of critique groups (you may cover that in your Freshman thru Author series), but participation in one was extremely helpful to me, especially in the Freshman stages. When I thought my book was ready, I printed 20 copies (via Lulu) and handed them out with a questionnaire to a broad group of people, from housewives to PhDs in English with writing experience. The feedback from that helped push me into the final stages. Knowing when a book is ready is a judgment best made by others. Thanks again for a very informative article. How would you apply what you talked about Randy to the popularity of the E-Books and how easy it is to publish on them. You say that in the next 5 years that is where the publishing company is going to get their authors from so how does this affect your Freshman, Sophomore, Junior and Senior levels? 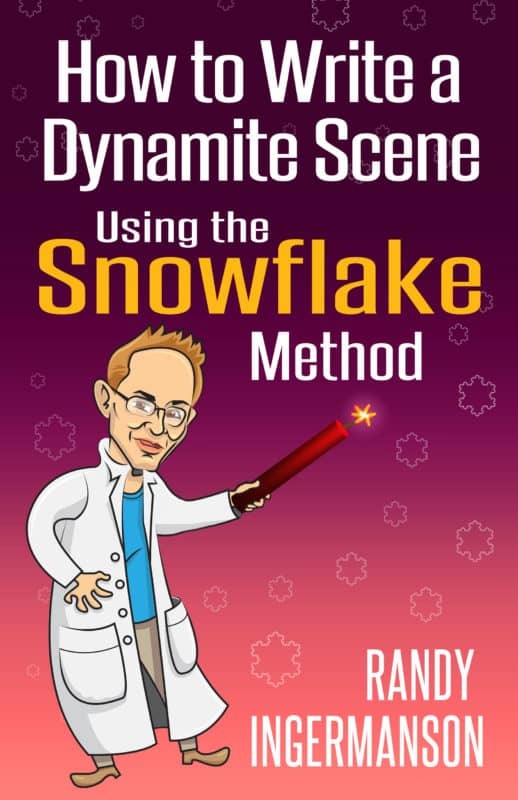 Randy sez: Yes, it’s very easy to publish an e-book. It’s not so easy to publish an e-book that people will want to pay for. If you are not writing a book in order to earn money from it, but just want to see your name on the cover of a book, then an e-book is a quick way to make that happen. My rule of thumb is that it makes economic sense to publish an e-book only if you are writing well enough that you could sell your work to a publisher. I have noticed that most writers believe that their work is good enough to get published long before it actually is. Thanks for the reminder not to rush things. I am still working on the manuscript whose summary sentence you critiqued some years ago. Also I am looking forward to the Christian Writers’Gathering at Delta Lake in about a month when I will be sharing on staff with you. How I wish you could be there in person, but I will have to wait until we get to heaven to meet you face to face. Meantime I’m doing my best to apply everything I’ve learned from your teaching. My 35th book is about to enter the publishing pipleline. Not all are novels, but this one is a War of 1812 historical for kids and I am psyched! 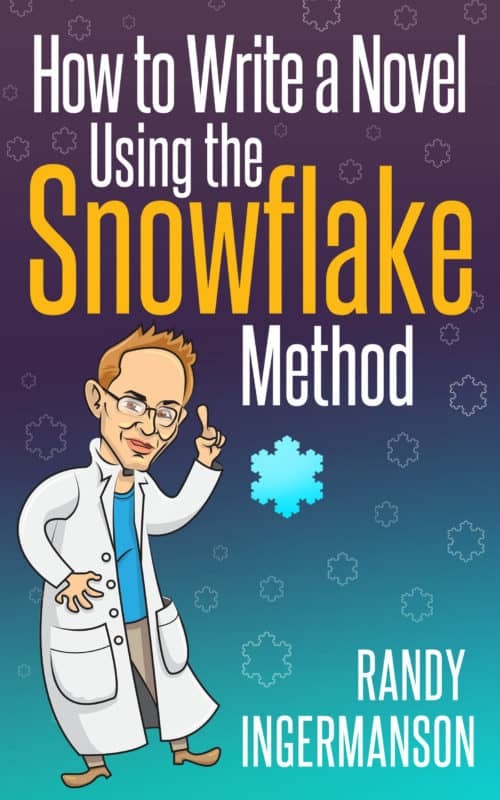 In terms of using the snowflake method before or after you write your novel, I am a bit curious as to what novel you used the design process first, and what novel you used the design process after. Please name two. Anyone who needs an editor to tell them how to write is not a writer. Use spellcheck. It’s one thing to have someone correct punctuation, catch a few typos, ask you to change repeat words, and perhaps add spaces to your wall of text; it’s quite another to completely change your final draft! Weren’t you supposed to revise that yourself already? Thought so! Anyone published who had an editor change their book, is not an author. If you use a ghost writer aka an “editor” then you’re not a writer, and not an author, whether you’re published or not. Don’t be lazy. Write your own dang book! No excuses. You either write well or you have some guy rewrite your book. Guess what? That’s not writing any more than having a chef walk into your kitchen and fix the recipes you messed up makes you a cook! Now, there’s tons of self-published idiots on Amazon who garner hundreds upon hundreds of 5 star reviews… from their friends, family, social media followers, and then other idiots, who believe the hype and feel compelled to leave 5 star reviews, to appear “smart”, show up and do the same. But many who were duped into purchasing will then leave 1 star review (ALWAYS READ THOSE FIRST!!) telling you how awful the “novel” is, how plot-less the story is, what boring characters they penned, and mention the terrible grammar, awful syntax and typos galore. Then there’s the geniuses on the keyboard who will never get published. Why? To get published, you have to be “Weinsteined” by an agent, a publisher, an editor, the works. Still wanna be a writer? Go write the menu on a chalkboard at your local cafe. There! You’re a writer. If you’re lucky they’ll give five bucks or a free sandwich. Or both. As for stupid NaNOwriMo, it ought to be changed to READERS MONTH. Too many damned idiots with Word putting out crap, not enough readers. What good is it to get published if no one ever buys — let alone reads — your dang book? I’m sorry, “Real Writer”, but you don’t know what you’re talking about. Most of your post above is false, misleading, or ill-informed.